America's job crisis is over, says one of the nation's top economists. "We're basically at full employment," said San Francisco Federal Reserve President John Williams on Monday. "That's very good news." Williams believes the U.S. economy is "back on track," and the Fed deserves a lot of the credit for the dramatic turnaround. (President Obama too has been trying to take a "victory lap" on the economy). Unlike presidential candidates Donald Trump and Bernie Sanders, Williams sees a lot to be happy about. 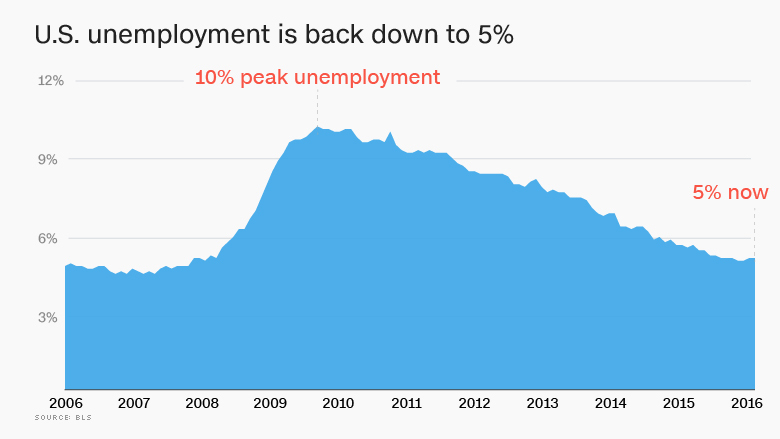 He points to "good" growth of about 2% a year, and an unemployment rate that went from 10% at the worst of the Great Recession back down to just 5% now. 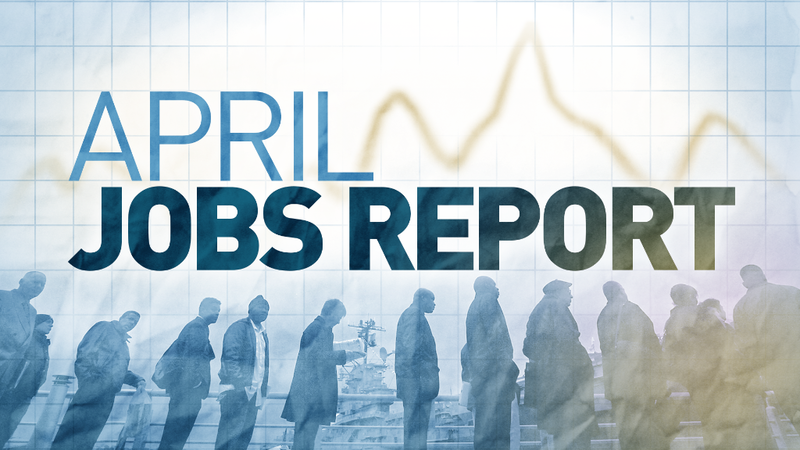 America has been adding roughly 200,000 new jobs a month for about two years. It's a rapid pace of job growth not seen since the boom days of the late 1990s. The hiring is so strong that even some people who had given up looking for work have jumpstarted their search again. So why are American voters so gloomy about the U.S. economy? It's by far the top issue on the campaign trail. Not only are voters worried about the situation right now, but over half believe the next generation will be worse off financially. Williams says he understands the frustration on Main Street. "The fact that income inequality is rising is real," he says, but he doesn't think the Fed can do much more about that. It's a problem Congress and the White House are better positioned to handle. The other key issue is that middle class American salaries aren't growing much. "Wages have been the puzzling part of the story. Wage growth has not picked up," said Williams. Typically when the economy is at full employment, wages grow about 3% to 3.5% a year. Right now, wages are only growing 2.5%. Americans are likely to get a raise soon, predicts Williams, but he acknowledges there are lingering problems. An alarming number of Americans also work part-time jobs but they want full-time work. Those part-time jobs typically come with lower wages and few, if any, benefits. With the economy making good progress, there's about a 50% chance the Fed will raise rates in June. In his comments Monday at the Council of Foreign Relations in New York, Williams stressed that a June rate hike is a real possibility. He said two or three rate increases in 2016 is "still about right." Williams isn't currently a member of the Fed committee that gets to set interest rates, so he won't be voting at the next meeting in June. The Fed has two goals: to get the economy to full employment and to hold inflation steady around 2%. Williams believes the Fed has done its job on employment and that inflation will get back to target in the next year or two. Williams noted that the Brexit vote in the U.K. on June 23 -- a mere 8 days after the Fed's June meeting -- is a concern, but the probability of the U.K. leaving Europe would have to get higher to really rattle markets.